I just finished watching a movie that has made my heart so glad. It is A Test of Love. It is the true story of Annie McDonald who was born and lived most of her childhood in an institution for the profoundly retarded in Australia. Because she couldn’t speak or walk she couldn’t prove her intellect until someone gave her choices. She changed the lives of many people because she was given the freedom to communicate through Rosemary Crossley who was hired to work in the institution. Today, I am able to communicate because of those two women who fought for me and others like me before I was even born. It is not impossible to believe, when people are willing. It requires so little of people to believe. It makes the hearts of my mom and me very glad today that there are others who have been willing to fight battles that seem impossible because of love. I am so sad for the children that lived in those hospitals. They died making no difference in this world, because they weren’t given opportunities to become who God created them to be. It doesn’t seem right that they needed to die to get their freedom. I am so glad today for the people who have given me freedom in this life. I have some work to do. I hope that before I die, there are more people who will open their minds and hearts and see that girls with Rett Syndrome are people who have intelligence and just have a lack of ability to communicate. We are not ignorant. My Mom and I have faced many people who don’t believe that. I am so fortunate that my Mom knows who I am. My step-dad has been so open to me. When the days are hard I give my love to them because that is all I can do. If Rett girls could only love in this world, it would be a better place. We are here for now ,and we love. This past weekend we had a great thing happen. There are some people in our town who have been talking about how we can make our community a better place for people who live with a disability. I was at part of the meetings this weekend. My friend Mike was also there. We heard some things we are so excited about. There are many artists and writers in Stillwater, so we are starting our own program here! It is so wonderful to have people who believe in adults with disabilities having talents as artists. With others helping us, even those of us who live with great physical challenges, can create beauty. We are not so limited that we cannot create. I heard from Patty Mitchell and Susan Dhlouhy about how we can do it here. There is so much excitement. I can hardly wait for what is about to happen! We learn together. We learn from each other. 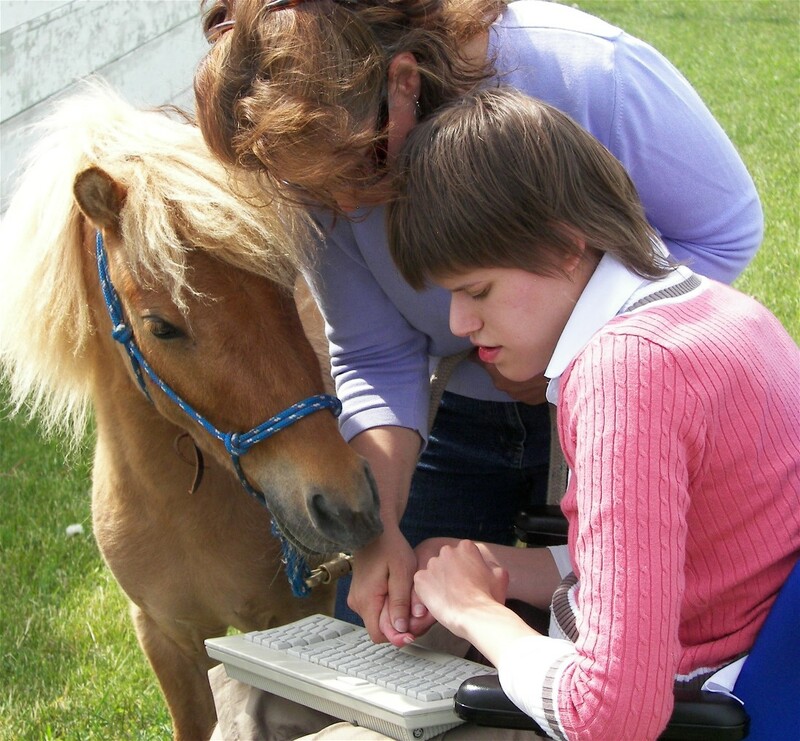 Adults with disabilities can be leaders with other adults who are typical in our communities. I know that many adults like me are not given a chance to show others who we are. But I feel so grateful today that I live with many friends around me who believe in me and see that I am able, just like them. I love what can happen when good people help each other. I do what I do mostly because my mom sacrifices so much of her time to help me. But I feel really excited because there are others who know that with a group helping each other great things can happen. My CD Release party was on Saturday. The room was full of family and friends. My sister Leah came home from Ohio for the day. It was a great day. I had so much contentment because I felt calm and peaceful. I was able to communicate with most of my guests with Amy facilitating. In the room there were four women with Rett Syndrome. It was a beautiful day for me. I did not expect to have this happen in my life, to have a CD that gives me a voice is something I never imagined. My friend Jeff Dunn made a beautiful set of posters for me. My great friend Amy was facilitating so I could visit with everyone. 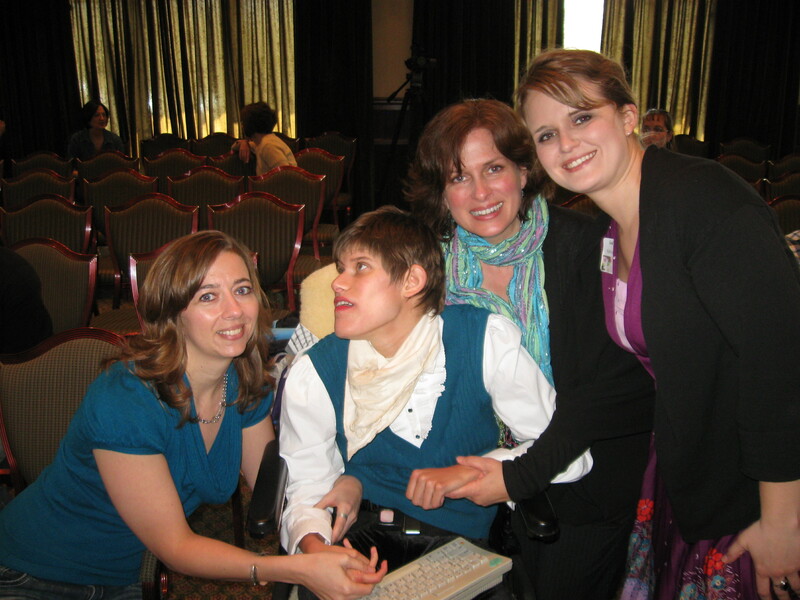 It’s so wonderful to have friends and family who believe bigger things for girls with Rett Syndrome. We are not unable. We are able, if we are allowed. It is something that many people will not understand. I have had a few people say some awful things about me. I only wish to tell them that the day will come when they will have to change their minds. 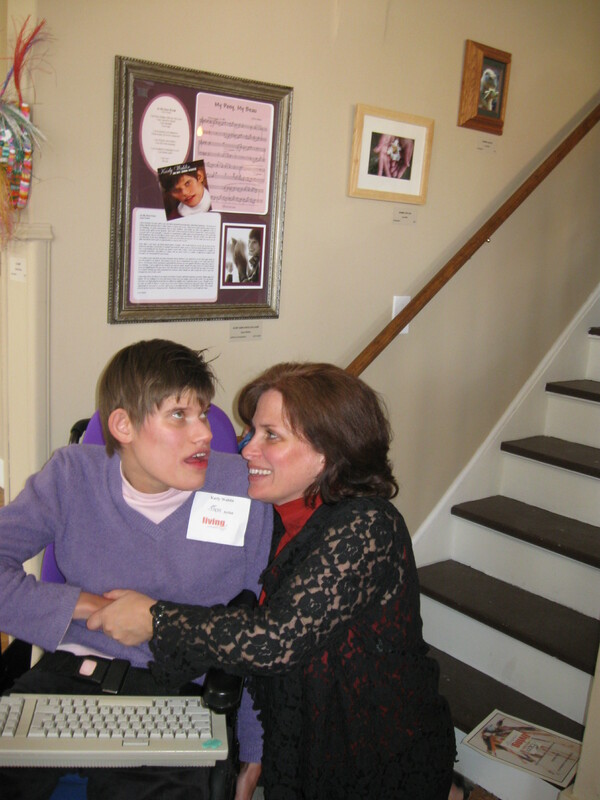 I am not the only female with Rett Syndrome who is able to show that we have intellect. My friend Elizabeth was at my party too. She also uses a keyboard. It’s not something that most people have experienced. To have no voice, no way to point, no way to write, no way to walk and show something, no way to speak or sing. When we found my keyboard method, my life became whole. It made sense because I could communicate. I could tell what was inside of me. I could say what I needed. I could say that I was in there. If you could see what is in our minds, you would know that to give opportunities to those who are unable to demonstrate through no fault of their own, that they are intelligent, is the only right thing to do. 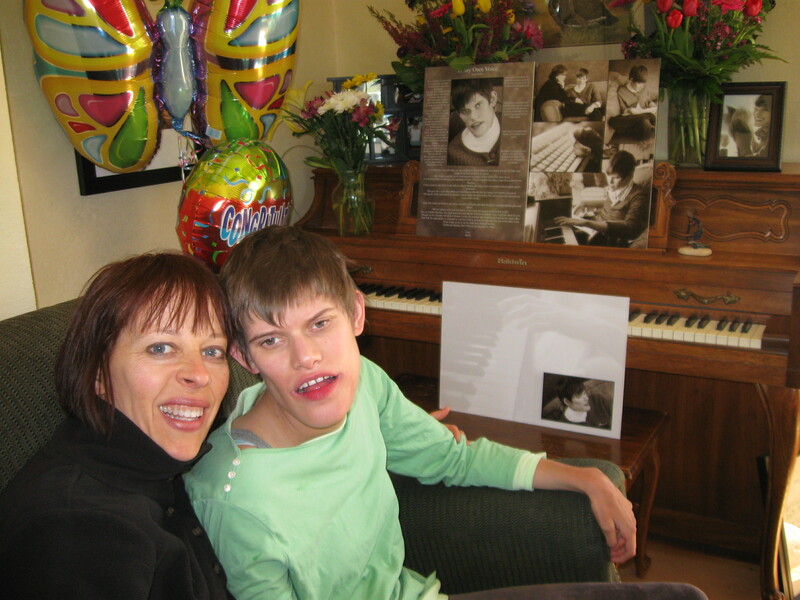 My friend Elizabeth also has Rett Syndrome. 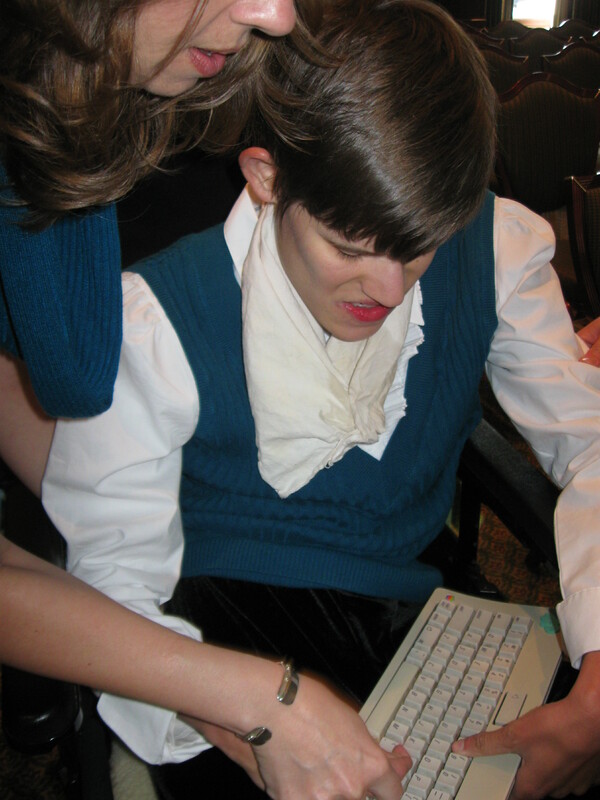 She was able to visit with others with her keyboard. I have been confident that I am doing what I am suppose to do in sharing my story with this world. I don’t regret it, but I regret meeting people who are assuming that their hurtful comments have no effect on me, because they assume I don’t understand. I would never hurt them. I went into my party with these things in my mind. I want to tell everyone who was there with me, that I felt your belief, I felt your support, I felt your love, and I feel inspired myself to continue doing what I know God created me to do. 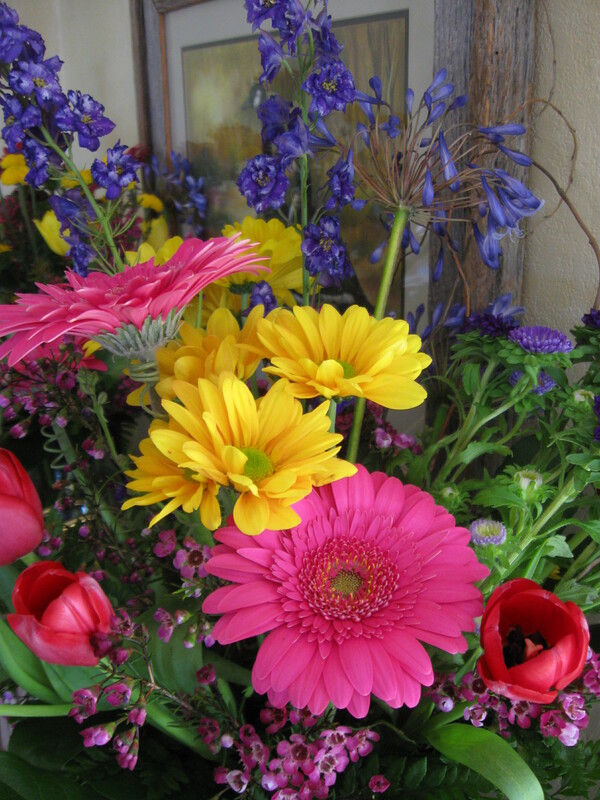 Thanks to my friends I have hope and joy today. Karen came to my house the day after. She did a great job of sharing our story with others. I love her. I am eager to share with you that my story was on the TV this week. I have had so many emails and messages from people all over the world. It has been a wonderful experience. I hope you enjoy the story. I feel like Maury did a great job of sharing my life with others. If there’s one thing I would change about my body, it would be my breathing. I struggle with breatholding and hyperventilation everyday. I started to hyperventilate when I was four years old. I didn’t start holding my breath until I was eleven. On most days it starts with my breathing just stopping. I continue doing what I’m doing for about 25 seconds, then it’s obvious that I’m struggling to others. My body starts to jerk and I can’t control it. Sometimes I hold my breath until my hands and lips and I’m told, even my tongue, turn blue. It is about 75 seconds, and sometimes longer, before I start to breathe normal again. Often when I stop holding my breath, I hyperventilate. Some days I hold my breath and hyperventilate constantly throughout the day from the time I wake up until I go to sleep. It’s noticeable to others, and it’s frustrating to me. I have tried everything I can think of and others have tried on me, to help with this part of Rett Syndrome. It hasn’t gotten better yet. I don’t want to have people notice me because they think I am dying because I’m blue! It’s hard to be noticed for that reason. I wanted to share this morning about my struggle with breatholding, because I have been thinking a lot about my visibility in this world now. 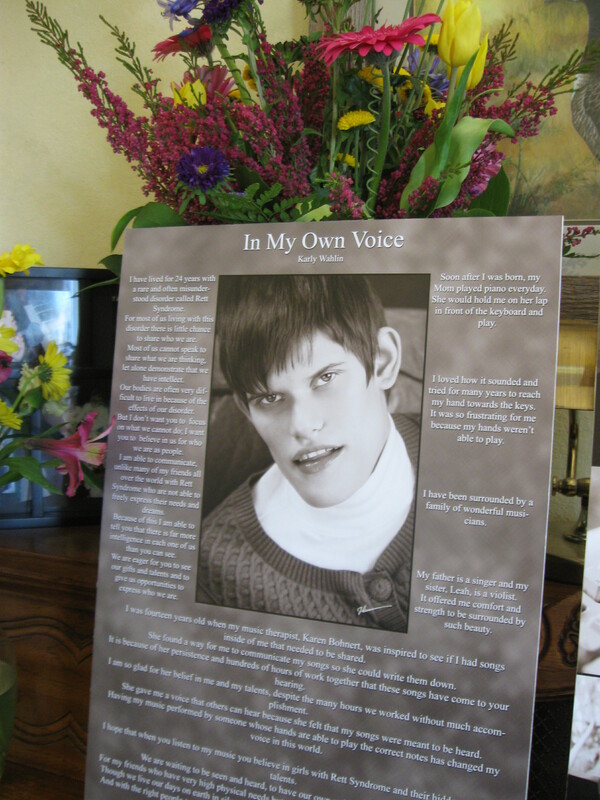 It has not been easy for me to accept some of the things my body does because of Rett Syndrome. Because I have been thought of so poorly by many people who don’t know me, I have tried to ignore the stares and keep doing what I know I’m suppose to do. However, because of my music and the interviews and now my CD, I have become more highly thought of. People expect certain things when they hear that I’m a composer or a writer. I’m so honored to have people want to talk with me and give me attention, but if I am holding my breath and moving around turning blue, it makes them and me uncomfortable. It’s something I can’t control, but it looks scary to others. I can’t stop imagining what it would be like to have this part of Rett Syndrome gone. On days when I am calm, I feel like a different person. I don’t even think about breathing, it just happens. It is something I imagine most people take for granted unless they are having trouble breathing. I don’t feel nervous about it for myself, but what I do feel is uncomfortable in front of others when I am having a rough day. I feel great compassion for my other Rett friends today who struggle with this like I do. I want to have you know that I understand and I feel how difficult it is for you. Don’t give up. I am told they have been able to reverse the symptoms of Rett Syndrome in mice. I hope in our lifetime that we can know days that are not filled with such important and difficult struggles. It’s not a simple problem, but if it could change it would be wonderful! I have hope today that it will change.